When I first saw this sale ad from B&H I thought that I finally found the exact solution for a field monitor that I've been wanting for years. But once again being a Pentax shooter I was quickly disappointed once again that it is only available for Canon and Nikon. I dug into the specs and started to get my hopes up when I saw that the Canon model comes with Pentax compatible cables, but these cables only allow for remote shutter release and the view is only through the included CCTV camera located in the wireless sending unit. 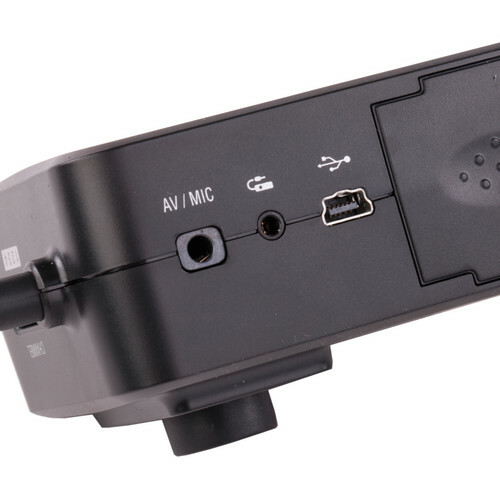 Looking at the close up pic of the terminals on the unit, it looks like the unit has a proprietary input for the live view function - wondering why this couldn't use the standard A/V type terminals like the one that is included with our cameras. Wonder what the odds would be of wiring up an adapter for it? I've been kind of racking my brain about the same thing. I am so tempted to try the Canon version but I hate sending stuff back - feel like I am taking advantage of their return policy for something that I am pretty sure won't work with my camera. HDMI doesn't produce an analog A/V signal, so a simple cable adapter probably wouldn't work for the K-3. The K20D, K-7, K-5, and K-5 II/s seem to have analog A/V out, so with an adapter cable it might work with them. (Pentax AV cable I-AVC7 (provided) -> RCA-to-mini A/V adapter). I notice that the Nikon D7000 produces an A/V signal, but the Nikon D7100 and D800 (and other more recent) do not; the D7100, D800 owners are out-of-luck, as well. 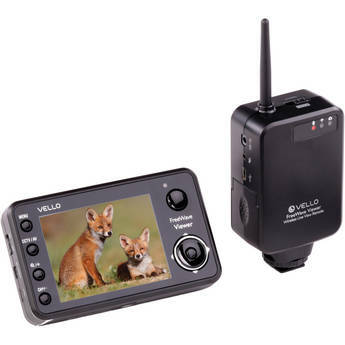 The Vello display seems to have a resolution of 320x240 pixels. When I use that resolution with my FluCard, the image is barely usable--I can tell that something moved into the FOV, but I can't necessarily identify it.